Shahid Kapoor to show up for Mom! Shahid to show up for Mom! It's been 12 years since Neelima Azeem gave a dance performance on stage. Come August 14, the dancer-turned-actor is all set to stage a comeback to perform at the National Festival of Indian Classical Dance. On the same night, dance lovers of Kolkata will also witness Kuchipudi performances by Raja and Radha Reddy, Odissi recitals by Esha Deol and sister Ahana Deol and a Bharatnatyam performance by Hema Malini. The Festival begins on August 10 with Vyjayanthimala Bali presenting Sita. This will be followed by recitals by Malavika Sen and Vishal Krishna. "On August 11, we have recitals by Bharati Shivaji, Sujata Mahapatra and Rajendra Gangani. The latter will be accompanied by Pt Kumar Bose on the tabla. The following day will see recitals by Malavika Sarukkai, Madhuri Mazumdar and Moulik Shah. Pt Anindya Chatterjee will be accompanying Shah on the tabla. On August 13, the programme will begin with a recital by Swapna Sundari, followed by Sutapa Talukdar's Odissi recital. The final act will be by Pt Rammohan Maharaj, who will be accompanied by Pt Kumar Bose," says Shouvik Dasgupta, the man behind the Festival. Ask Neelima about her comeback show in Kolkata, and she says, "It's been 12 years since I stopped dancing on stage. Passionate about dance, I could never imagine doing it in half measures. Eight months ago, I was nursing a foot injury. It's quite challenging for me to dance now since my injured left foot is the one that's used for the chakkars. I'm glad to be returning to the stage in Kolkata. I also have other shows coming up in Mumbai, Delhi and Indore. I'll begin my recital with a symbolic presentation that has a Sufi feel. Then, I shall go on to the traditional Kathak recital before dancing to a ghazal of Dr Iqbal. The final act will be a tarana in raag Malhar." What about the buzz that son Shahid will be coming down to Kolkata to introduce her on stage? "He might come. As a mother, I might get a little distracted worrying about his security if he is there in the audience. That apart, his presence will only energise me on stage," she adds. Does she have any plans of doing a fusion dance show with Shahid? "The idea sounds good," she says, adding, "But the budget for such a show would be humungous. It would also come along with star trappings. If the show is on that scale, I could bounce the idea off him. But I would want to have all the details on paper before I proceed." Meanwhile, Neelima is also planning to return to Kolkata soon to shoot her directorial debut. With her Nawab Nautanki being 'stalled for the time being', Neelima has now decided to begin shooting Tere Saath Hun Mein — a film set in the mountains. "Soon after my show in Delhi, I will be returning to this part of India to shoot my film in monasteries of Darjeeling, Gangtok and even, Nepal. My film is a love story that's shrouded in mystery. It's about an aspiring writer who discovers life and love." Will the film see Shahid in the lead? "No," she says, adding, "I need a fresh face to play the aspiring writer. While I've cast a new boy and girl as leads, the supporting cast has known faces. I'll reveal those names later." Shahid Kapoor scared of papa! Shahid Kapoor, who is shooting with his dad Pankaj Kapur for Mausam in Edinburgh, is mortified of his father. 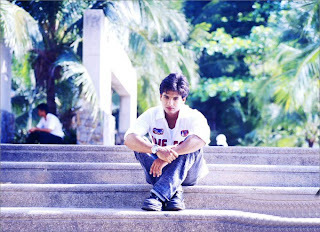 It is said that before the unit left for UK, Shahid was already getting addicted to the songs of the film. The young actor apparently loved one of the songs so much that he kept blasting it in his home before he left for the outdoor schedule. His father, who lives just a floor below, heard the strains of the song playing continuously from his son's home and he quickly admonished Shahid for two things. It is said Pankaj didn't want Shahid to disturb the peace of the neighbourhood with his loud music and two, he didn't want the song of Mausam to be leaked out so early. So what did Shahid do? Being the good son that he is, he took papa's instructions well. Next he was grooving to the same number, but this time with his headphones on. New Delhi, July 26 (IANS) Bollywood actor Anupam Kher has got an Apple iPad from "Mausam" co-producer Sheetal Talwar. "My producer presented me with an iPad in Edinburgh. Today early morning Uday Chopra taught me how to handle (it). It is awesome. Thank you Mr. Talwar for gifting me my new toy and thanks Uday for adding the excitement by downloading some cool applications," Anupam posted on his Twitter page. The veteran actor is in Scotland with the crew of "Mausam", being directed by Pankaj Kapoor. It features Sonam Kapoor and Shahid Kapoor in the leads. vOk, so the makers of Milenge Milenge have led everyone to believe that their film is a success. While some may argue that how a film that nets just a little over 10 crores in its first week could be termed as a success in today's time, especially since it stars top players like Shahid Kapoor and Kareena Kapoor, producer Boney Kapoor has a strong reasoning. After all, the film was made on a medium budget half a decade back and even if one counted the interest, the ROI (return on investment ) has been gladdening. No, this doesn't by any means indicate that the film is one of those hits that its actors would be extremely proud. Well, even if they want to be, they can't since they didn't promote the film. Ironical, isn't it, since for Shahid this film has turned out to be his second consecutive success after Badmaash Company? Of course the film isn't sustaining at the box office on the same lines as Badmaash Company and has taken a fall but still the money earned is in a decent enough range to kept it's investors smiling. A few months back, the makers of Himesh Reshammiya starrer Radio too had proclaimed their film to be an investment hit since they had presumably recovered their entire investment before the release. Though the film had done poor business at the box office, the producers were supposed to be in green. However, the distributors did loose money. This is not the case with Milenge Milenge though since Boney Kapoor himself is the distributor as well which ensures that no one looses money eventually. However, money has been lost in case of Red Alert - The War Within which is the case of a good effort going unnoticed. Theatrical failure of this Ananth Mahadevan directed film makes one wonder if audience can really be enticed to get into theaters when told explicitly that X film is based on a real life issue. It seems that they automatically detach themselves from such films and wait for it to arrive on home video or satellite rather than spending their hard earned money on something which doesn't give them their dose of escapist entertainment. This has been seen even in a commercial set up like Kurbaan that boasted of the likes of Saif Ali Khan and Kareena Kapoor. This mistake wasn't committed by the makers of New York who never sold the film as an 'issue based film about innocent people being lodged in US jails'. Or for that matter a small effort like A Wednesday who actually sold the film as a plain and simple thriller about a few hours rather than something which would open up a can of worms. Point to ponder? With the film barely managing to complete a week at the box office and hardly in the running in the second week, Red Alert - The War Within would have to live with the fact that it got great reviews and appreciation for Mahadevan and Suniel Shetty but no moolah! The movie is a romantic comedy. In this movie Priya (Kareena Kapoor) Believes that jodis are made and when come in touch with them you will harbour a feeling that help you to identify him. She dreams that her charming hubby will be a man away from smoking, drinking, in short a through gentleman. 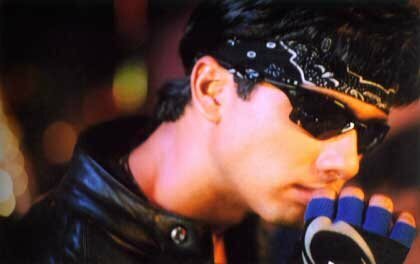 Amit (Shahid Kapoor) has everything him, which Priya hates. The movie is all about how they fall for each other, despite the difference. When the launch date was made public both were busy outdoor at different location for their professional commitments. Finally the movie release has brought smile on producers' face who sold the satellite rights for 8.6 crores. Both are busy with their upcoming movie. Shahid is involved with 'Mausam' and Kareena is busy with 'Agent Vinod'. Both are away from promoting the film. Despite this the crowd is expected as there is no big release this week and it can be their last movie together. Movie Review: So what's the one big question that stares you in your face when you walk out after watching Milenge Milenge? Would this film have been a hit had it been released when it was `Milethe Milethe' for the lead pair; that is, when real life was in sync with reel life, for Shahid and Kareena, not so long ago? The answer? Don't think so. And there are quite a few reasons for it. First, you could blame it on the plot which has nothing new to offer. Now that's almost criminal in an age when even the ordinary love story has been re-written in new-age Bollywood. Who talks about `Someone, Somewhere, specially for me' and consults tarrot card readers (or even, Paul, the Octopus) when it comes to love, aaj kal! Even mush moghuls like Yash Chopra, Aditya Chopra and Karan Johar are realising the risk potential of `Rab ne bana di jodi' like cliches in an age of FB, speed dating, instant romance and speedier breaking. So, it does seem corny to pitch a character like Priyanka (Kareena) who believes that a book on numerology, a fifty rupee note with a phone number or a ride in a lift is all that it would take to bring her together with her soul mate. Ironically, the entire romance unfolds as a destiny play, with one hit and miss encounter following the other. Needless to say, the lovers predictably keep missing each other by a few minutes or a few years. Naturally, in such a chancy affair, there isn't much that the pair of star-crossed lovers can do, other than catch wrong planes, enter wrong doors, or land up in wrong cities at the wrong time. Remember, the re-union hinges on the special rupee note which must travel the globe before it lands up in Kareena's kitty. So why the khali-peeli bhagam bhag by the babalog! Of course, Shahid and Kareena do try hard to inject life in a dead script and do manage to still look good together. But with outdated choreography, college humour, couture and a minus-the-thump music score (Himesh Reshammiya), this love story doesn't have the turn-of-the-century zing that has entered most of Bollywood's pyaar-mohabbat pulp fiction. So what's the bottomline? Milenge-Milenge ends up as a might-have-been, iffy affair. Watch it `IF' you still dig the Shahid-Kareena jodi which re-defined the word 'chemistry' in Jab We Met. Who did Shahid Kapoor meet in London? Mumbai: Shahid Kapoor mysteriously disappeared for a secret holiday to London to meet one of his friends there. Apparently, the star is keeping his lips sealed about what he did on his London trip or who he met there. Shahid and Sonam Kapoor were shooting for Shahid’s dad Pankaj Kapoor’s film Mausam in Edinburgh when Sonam declared that she has to be in Mumbai to promote her upcoming film with Imran Khan. “Shahid had nothing to do for three days. He was getting bored in the hotel. So he had a talk with his dad and told him that he wanted to have all these days off when Sonam is not there. We think his dad also didn’t ask him who he will be meeting,” says a source. The last time Shahid took off for a holiday, he went to Goa and apparently he also bumped into Priyanka there who wasthere with her best friend from Delhi. Reportedly on his return, Shahid was teased mercilessly about his “secret rendezvous”.